Hair, facial or otherwise, grows faster than you can track it and while women like a little stubble, an unkempt mane makes you look, well, unkempt. The only way to ensure a well-trimmed beard and hair is by investing in the best tools of the trade on the market. With the flood of name brands, it is an uphill task finding the best barber clippers, which is why we did this review. Andis Barber Combo-Powerful Clipper and Trimmer Combo Kit comes with the entire collection of blades. It performs with efficient speed and silence. The blades on his baby are designed to deliver a cut as close as you would want it. Wahl Professional 5-Star Magic Clip #8451 delivers professional precision wherever you use it. This slim and long machine is lightweight for easy handling. The long cord makes it possible to navigate as you work. Oster Classic 76 Universal Motor Clipper is designed for longevity, thanks to its superior exterior. It features a long cord for electric charging and maneuverability, alongside a host of detachable blades. Wahl Professional 5-Star Cord/Cordless Magic Clip #8148 is a cordless clipper designed for the professional hand. Its delivery is professional and precise. Its weight, (a mere 10oz) is ideal for the hand, but note that this clipper is not for the untrained hand. Wahl Home Barber Kit #79524-3001 comes with a variety of blades for all sorts of cuts. It gets through course hair efficiently. Home barbers; this product was designed with you in mind. The price is a winner. Because it is a combo kit, it comes with a T-outliner Blade Trimmer and an Andis Adjustable Blade Clipper. The T-outliner ideally delivers a close shave, which is what makes it popular for trimming the beard and facial hair in general. This is made possible by its 1/8" - 1" also size 1/16" - 3"/8" blades. The Clippers have an ergonomic design to fit perfectly in your hand. Each weighs less than 10 oz, so they will not wear you out before the job is done. This combo is electric-powered to save you from having to recharge the batteries. It features a 9-foot long cord that enables movement from your workstation. This clipper comes with a diverse range of combs. It has 6 of them for different cuts and functions. The combs make it possible to cut coarse as well as fine hair interchangeably. The exterior is tough for longevity. However, this clipper is better suited for home barbers than it is for the professional lot. They deliver a close cut. They work well with coarse hair. They are ideally for home use. The power plugs limit their use (110V 60 for the T-outliner). For those professional barbers who prefer the convenience of electric-charged clippers, this particular one has an 8-foot chemical resilient cord. The size of the cord makes it possible to move around the barber’s chair. The superior zero-overlapping blades improve its efficiency and speed. They also make it possible to get that precise cut that professional barbers go for. Because it is powered by a V9000 motor, 50% more power is sent up to fire the clippers up, without necessarily increasing usage. The package includes a clipper and 8 combs, which make it possible to work on all hair types, wet hair included. It measures 6.5” long and weighs 1lb for comfortable holding. The lever for adjusting texture and taper is within thumb reach, so that you do not have to change blades to get it done. The ergonomic design makes handling this clipper bliss. While it is not the quietest, it delivers precise and professional cuts. You can use it on facial hair. This workhorse is built to represent the old times, complete with a design used in the early days and a break-resistant exterior. The body looks like that of a truck. A single speed motor universal motor, which is exclusively used in heavy clippers, completes the heavy-duty picture. This particular make is meant for the professional barber who plans to use the same clippers for years. Its 9-foot power cord is equally durable, thanks to the break-resistant housing. The length of this cord makes your workstation flexible, since you can move around unrestrained. The blades, #000 whose width is 1 11/16" and #1, 1 15/16" wide make it possible to cut facial hair precisely. The size, however, presents a challenge when working on moustaches and the hair around the ears. They also do a decent job with hair of all types, from course to fine. The size inhibits trimming mustaches. The design is not ergonomic. It only comes with two blades. This clipper is from Wahl, a leading maker of the best professional hair clippers. Because it is cordless, this clipper affords you the luxury to work from anywhere. It comes with a lithium-ion battery with a 90 plus run time per charge. It features a conveniently placed taper lever for easy bending and fading. The zero-overlap 2161 blades ensure a smooth and precise cut, and they help you work faster. It has a convenient handle and measures 6.25” long. It weighs 10oz so as not to weigh you down. This clipper is ideal for the professional barber with a steady flow of customers. Because this professional clipper comes with 8 different combs, you can use it on course, fine, or even wet hair. The 8 combs for variety. You have to keep it charged. Because if its ergonomic design, this clipper is easy to handle and ideal for those working with many customers. It also does well as a home clipper. It has a hook for easy storage and a convenient taper lever on the handle for easy adjustment. This compact clipper is powered by a rotary motor, which is efficient if a bit loud. The trimmer's lithium-ion battery runs for up to 90 minutes before it needs a recharge. You can take it on your expeditions without a care for electricity. It is ideal for you if you live in an area prone to power cuts. The price is decent for a clipper that works as well as any professional barber’s tool. 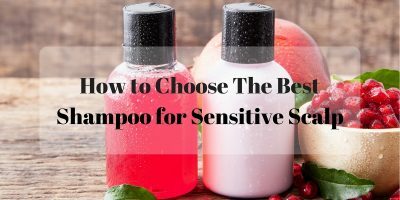 A variety of 8 combs allows you to use it on wet hair as well as the coarse and fine type. Why Should A Hair Clipper Concern You? The obvious answer to this question is ‘to look groomed.’ No one wants to walk around with unkempt facial hair or unshaven heads. But why should you invest in a good clipper? Because it saves you money. A good brand will last the test of time. To limit the visits to the barbershop. If you plan to purchase a set of clippers for your home use, you save time and money on the barber. If this is your trade, you know that only a professional tool can deliver the precision and professionalism that you want as your trademark. ​A name brand is not enough. Most brands (such as Wahl) have several products under them, which is why you should look beyond the name. Go for the kind that suits your needs. 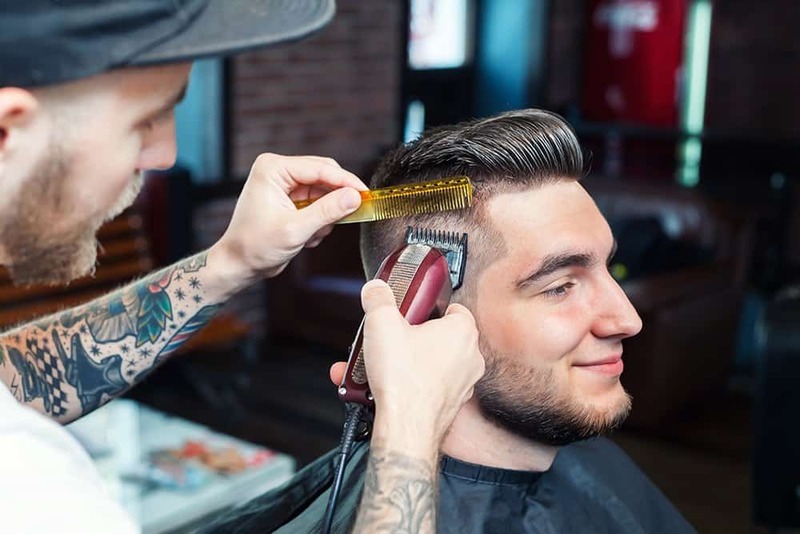 If you are a home barber, then it would make no sense spending a fortune on professional clippers while the home type would do an equally good job. Look for a design that is easy to handle. An ergonomic design makes your work easy. It does not strain your hand, and you can get more done. A durable exterior will be ideal if you are a professional barber. It will not succumb to constant wear, and so it will give you a good return on investment. It is always wise to work with your budget. There are great brands that do not cost an arm and a leg but do as good a job as their more superior counterparts. Cord - If you move around a lot, you may prefer a cordless clipper for convenience. 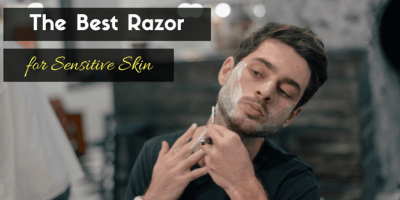 The size of the blades - This will determine whether or not you can use the clipper on your facial hair. Compatibility - It would be advisable to buy the kind that is compatible with different blades and combs because parts can be hectic to find. These are undoubtedly some of the best barber clippers on the market. The manufacturers, all who have been around for many years, have certainly put a lot of thought into their designs. For this review, our favorite is Oster Classic 76 Universal Motor Clipper. We like its durable exterior and the fact that it serves well as both a professional and non-professional clipper.